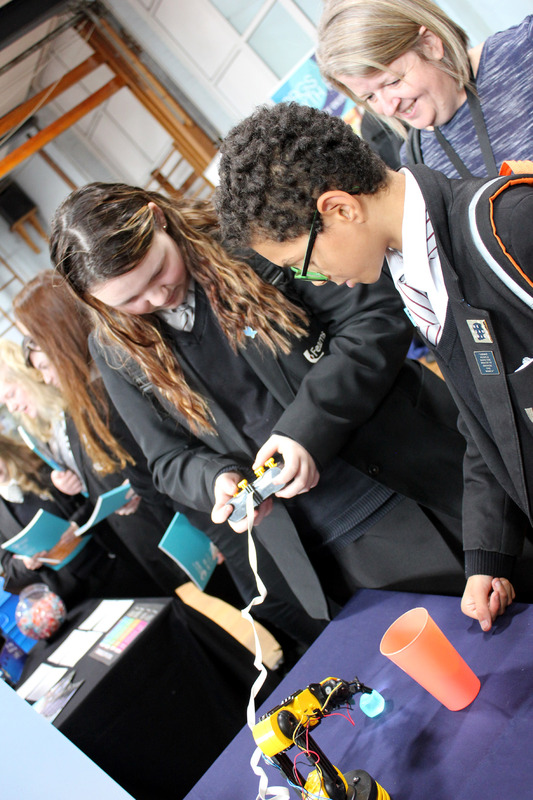 EVERY pupil in Fearns got the chance to explore their potential future at a careers day. In total 22 different colleges, universities, employers, the army and training providers packed the school gym to outline the different career options. Kalumn Ridgway, 15, who is interested in a military career said: “I found it interesting and learnt that to do A levels could help you in later life. Also having a stall was Future U - a government sponsored initiative aimed at making all pupils realise their potential regardless of their background. The two robots on the stall proved a huge draw as pupils worked out how to pick up and manoeuvre a cube into a cup. Fearns Careers Co-ordinator Mrs Bollard-Wilkes said: “Today is all about providing the pupils with the opportunity to find out just what is out there and we have had pupils from Years 7 to 11 attend.